Convenience, security, and access to highly qualified doctors – all from the comfort of one’s own home. Doctors on Demand supplies sophisticated video conferencing, which means it’s now easy for you to consult with a doctor online, save time on getting to the consult room, and get instant prescriptions and medical certificates. No matter where you are, you can check in with a registered Australian doctor and have all your concerns answered in a discreet and confidential setting. 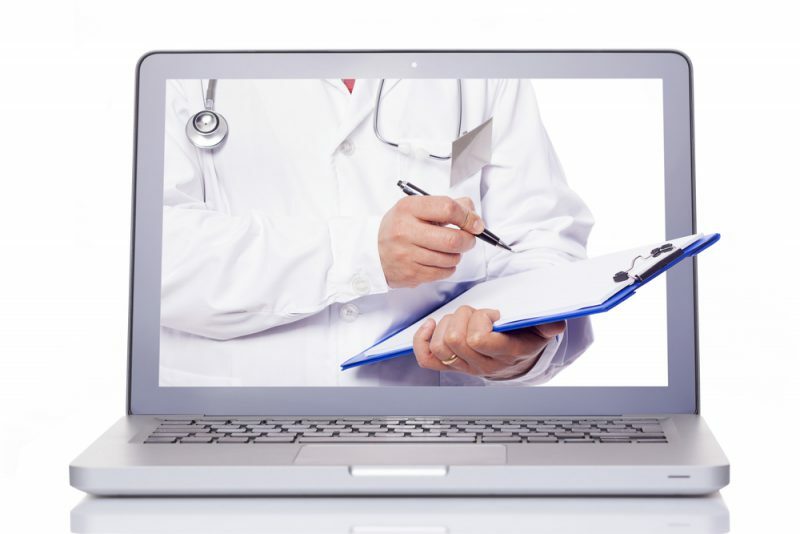 The advantages of online doctor services are clear, but how do you get started using one? Here, we’ve put together everything you need to know about the different types of services and how to make use of them with Doctors on Demand. Doctors on Demand provide an in-home video consultation service which helps with quick, convenient access to qualified and experienced medical professionals. Using the latest technology, you’ll be connected securely to a doctor who can help you with a confidential discussion about any health concern, as long as it’s not an emergency situation. Our medical experts can help you with anything from back pain and contraception to children’s cold and travel medicine, 24 hours a day, seven days a week. Our doctors can assist you with medical certificates, prescriptions, and referrals if necessary. Doctors on Demand can also provide you with access to specialised, empathetic mental health professionals who can help you through anything. Book – Log in, find an appointment time that’s suitable for you, then simply click and confirm to make your booking. Consult – Upon your appointment, make yourself available on your computer, laptop, tablet, or smartphone (with a working microphone and camera), and the consultation will begin. Make sure you have a debit or credit card handy. Repeat prescriptions are made easier with Doctors on Demand. By using the Quickscript service, we take the hassle out of seeing your doctor in person. You can use our online prescription service to obtain a repeat prescription in minutes. Our fast and affordable doctor’s review using Quickscript costs only $25 and an additional $4.95 for postage and handling for scripts sent to pharmacies. Alternatively, for medication to be sent to you, it’s $14.95 for express post as well as the $25 consult fee. The cost of your medication is extra, and any government entitlements (such as PBS and pensioner) are available and covered by Doctors on Demand. Review – Within two hours one of our qualified Australian doctors will review your application. Pickup – With a network of over 2,000 pharmacy partners in Australia, most cases will result in prescriptions being sent to a nearby pharmacy of your choice within the hour. Then it’s just a matter of going to the pharmacy for collection and payment of your medication to complete the process. Receive your medication – Alternatively, for an additional $10 and the cost of your medication you can choose to have the medication sent to your home or a nominated address. Doctors on Demand’s medical certificate service makes it convenient to obtain a medical certificate for proof of illness. Some employers or schools require a medical certificate to avoid loss of pay, disciplinary action, or even dismissal for days missed due to illness. The last thing you want to do when you’re sick and rundown is to leave your house and travel to your doctor’s office for a consultation, so we’ve simplified the process for you to make it as easy as possible. With our service, you can obtain a recognised medical certificate from a qualified Australian Medical Practitioner through a consultation conduct via your computer, laptop, tablet, or smartphone. No matter what type of work you do or where you are, we can assist with a medical certificate. To use the service, follow these three easy steps. Register and book – Book an appointment for a time that’s convenient for you. Consult – Speak with the doctor about your symptoms and health concerns using the microphone and camera on your device. Make sure you have your Medicare card and debit or credit card handy as well. Obtain certificate – If appropriate, the doctor will issue you with an online medical certificate, that you can give to your employer in support of your sick-day claim or absence. Doctors on Demand is designed to reduce the barriers between you, the patient, and the doctor, so you can consult our qualified doctors from the comfort of your own home. If you’re looking for repeat prescriptions, we can assist you with a quick, by-the-hour turnaround service. For medical certificates, our Australian registered doctors could assist you with recognised medical certificates for work. Our quality services are convenient to use, making it easy for you and your family to access the medical advice you need, 24 hours a day, seven days a week. Doctors on Demand is an industry leader in telehealth video conferencing services, committing to making high-quality healthcare accessible to Australian families. By advancing our team’s expertise in IT and operating medical centres, we’ve successfully removed the traditional patient-doctor barriers to provide you with more control over your health. Find out more or contact us today with any other queries.